It is not easy to become one of India’s best animators. It requires, as Shilpa Ranade’s journey testifies, that you pursue your own real interest. Her animations are mirrors reflecting people’s lives in society. Films that silently study social phenomena, as hers do, are a result of thorough on-the-ground research. This, says the designer/animator/illustrator/filmmaker, she “can’t do without”. Each frame in Shilpa’s work drags with it the context surrounding a social reality, that a statistically foolproof scientific study usually misses out on. “It is very important to bring social issues up. But not in a way that kills the issue with very blatant directions to do this and not do that. It doesn’t work like that. It has got to provoke thought and stay with people.” The hope is that somewhere along the line, it will inspire a collective positive step. The secret to adding such a texture to your work, Shilpa’s reveals, is honest and objective research, but also, the kind of research you do, so to speak*, with your right brain. *Note: The popular belief/myth that the right side of your brain is responsible your creativity and the left hemisphere for the logic has been debunked by neuroscientists many times. Her weeks of travelling through villages in Vidarbha, interviewing sixteen families that lost their primary bread winner to suicide due to crushing debt, have yielded an illustrated book called Child Farmers. Apart from the interviews, the book has stories, confessions, drawings and poems by the children of these families. 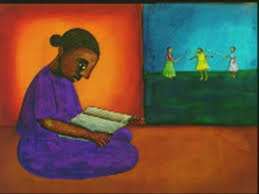 The material Shilpa collected was transcribed, translated, turned into chapters, written and illustrated by young artists and writers. One of the stories by Shilpa herself with testimonials from the deceased farmer’s wives will take shape of an animated film, promised the professor, who set up the first ever animation graduate programme at IIT. 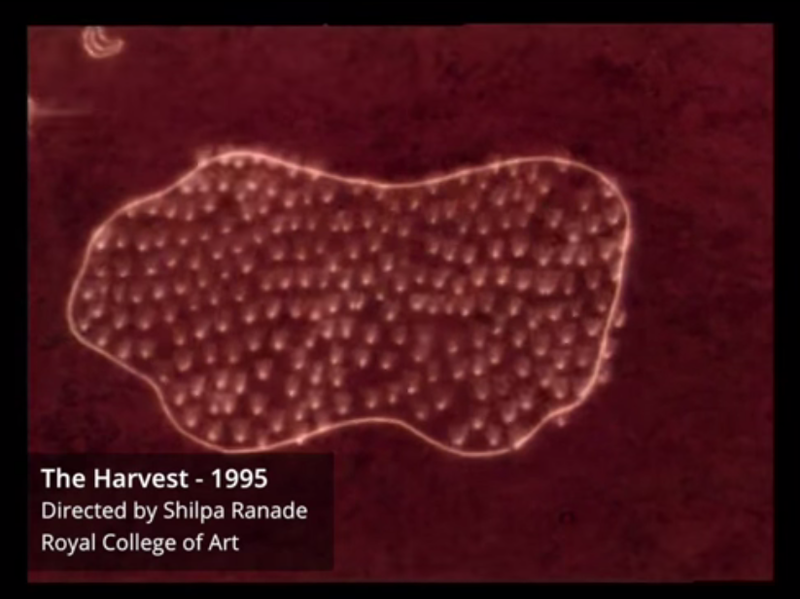 Thirty years ago, Shilpa was at the same institute, as a ‘visual communication’ student. After a skill-based degree in fine art at Sir J. J. Institute of Applied Art, “I came to IIT and I told them I want to do animation. They said I’m in the wrong place, yet I ended up spending two years here understanding design” at Industrial Design Center, which is IIT’s design school. Ater IIT, Shilpa’s interest in animation led her to a job at the studio of Ram Mohan, a prolific animator who was the only one with an animation studio in 1989. There, as in any commercial studio, a ‘pipeline’ of illustrators drew each frame of the film being made. This assembly line mode of animation did not interest Shilpa. She was warming up to a subtler eastern European style of animation, thanks to a film club she was part of since her college days. In 2001, she was back at IDC at IIT – Bombay, this time with a mission to set up a degree program in animation from scratch. The first batch graduated in 2006, with the degree Shilpa had come looking for two decades ago, unaware that she would be the person to set it up. Since then, along with mentoring animators that make more than just cartoon animation, she has made several films and books that bring out several issues. Shilpa succeeded. GGBB has been screened all over the world to rave reviews and turned out to be very entertaining. Although the entertaining label is not something Shilpa intentionally chases. What interests her the most is the movement from one screen to another. To prepare for the film, she worked for months with master puppeteers in Karnataka to learn the basic movement of shadow puppetry. In her film, the subtle movements of handheld puppets leap from their shadow screen into Shilpa’s animation. One of India’s top engineering institutions may not perhaps be the place you expect to find an artist like Shilpa, but here she is, redefining animation in a world where her trade is popularly perceived as frivolous entertainment.